If so, welcome to the hobby! Stamp collecting is a very enjoyable hobby. In comparison to other hobbies, it offers similar enjoyment, and can even be a good investment. In this section I express my opinions on what the hobby has to offer, I give a brief history of how I have developed my collection, and touch on a few basic questions that I suspect most people new to the hobby would ask. What to collect? There are many choices. Here is a web page dedicated to this question. I recommend the New York Chapter of the U.S. Philatelic Classics Society web site for some great articles near the bottom of their home page on stamp collecting by Calvet M. Hahn. 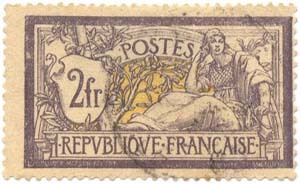 Stamps for beginners can be acquired directly from several English-speaking post offices: USPS, U.K. Royal Mail, Canada Post, New Zealand Post, and Australia Post. The service to collectors of these online shops is excellent. Canada Post has a clumsy procedure-you need to get a username and password sent to your email and then return to the web site to shop-but it worked just fine for me. I look forward to other major post offices getting their act together for online shopping: India and South Africa. Germany's online site is excellent, but its all in German, ditto for France's online site. Question: What does stamp collecting have to offer? Answer: Stamp collecting offers several types of enjoyment: relaxation; the thrill of the hunt; learning about cultures; social history, natural history, and other endeavors; fun of completing something; keeps the mind active, much in the same way that crossword puzzles do; fun social interactions with family and friends who are also stamp collectors; and last, and I think least, stamp collecting can be an investment. Question: How did I get started? My grandfather introduced me to the hobby. I later became more involved than he expected me to be. 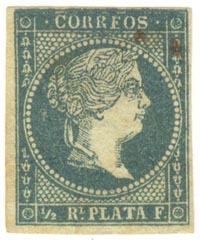 My first collection, beginning in 1982, was of the Cuba 1855-1898 issues, which I later narrowed to the Cuba First Issue of 1855-1863. A second collection has been the Argentina 1935-51 Definitives, which I began in 1993. The third collection, also begun in 1993, is of the Germany Women and Sites Definitives. The fourth, and last major collection that I have started, in 2002, is of the India Modern Definitives. I have also dabbled in other issues, as shown elsewhere on this web site, and on a butterflies topical, yet I continue to focus on the four main collections. Question: What are the pitfalls? There are several pitfalls. The main one is the greed of dealers and fellow collectors who may sell you stamps at elevated prices. Another pitfall is trying to make out of stamp collecting a high financial reward endeavor, like financial derivatives trading, which it most definitely is not, nor I think will ever be. My working mantra is as follows: I expect to obtain NO financial rewards from this hobby. I expect, and have received, considerable enjoyment from studying stamps as a specialist (more about this later), and from what I have learned about other cultures. Stamp collecting is not a fad, it is a hobby that can be picked up or dropped as our lives change due to shifts in our education, career and family life, and that can last a lifetime.